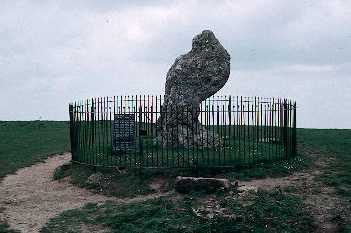 The King Stone is a standing stone dating from between the Early Neolithic and the Late Bronze Age periods. It is located 850m south of The Hollows. A stone recorded in the 1920s and interpreted as an Early Neolithic long barrow. Alternatively it may have been a Prehistoric standing stone or a natural feature. The site lay 1.4 km south of Little Compton. The site of an undated standing stone, (short stone). It was situated south west of Stretton on Fosse. Explore Standing Stone around Warwickshire. This map shows markers for every photo, article, historic site and catalogue record within the Standing Stone category.